With over 21 years of experience in the industry, Osborne Energy have a range of new and established services that we provide to our broad client base, including Cavity Wall Extraction. We provide this specialist, nationwide, cavity wall extraction service using the very latest technical innovations to extract wrongly installed and failed insulation material. This could be caused by wrongly installed or failed cavity wall insulation. Why do we need to extract Cavity Wall insulation? Poorly fitted cavity wall insulation can contribute to health issues. Did you know that if insulation becomes damp by even 1% it will cost you more to heat your house than a property with no cavity wall insulation? The effects of wrongly installed and failed insulation are almost immediately resolved once the cavity wall insulation is removed and the property is cleaned and aired. 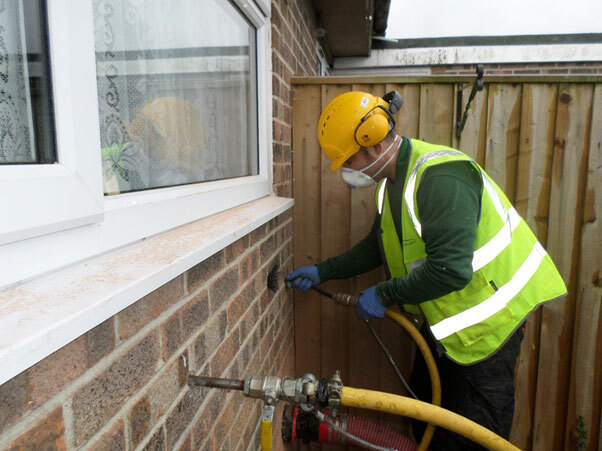 Where suitable, grant funding may be available for re-blowing Cavity Wall Insulation, the amount of grant and the cost of the works will vary depending on eligibility and on how much CO2 is saved by installing the measure.